REDDITCH is playing host to one of the top singing groups in the UK with award winning choral group Blake play the Palace Theatre on April 13, writes Tom Banner. 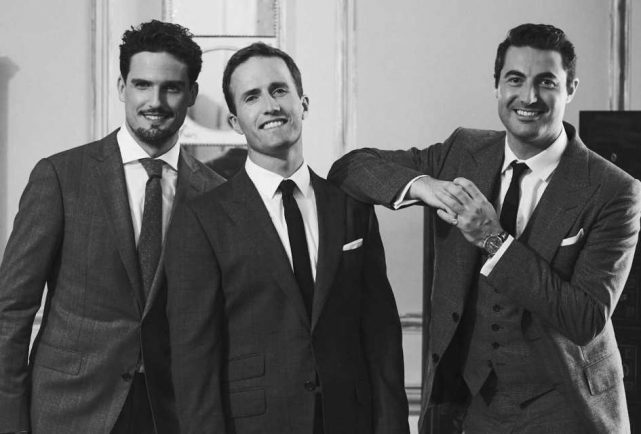 The trio ogave over 600 UK shows under their belt, including appearances on Strictly Come Dancing and the Graham Norton Show. Humphrey Berney, one of the three members of Blake, said: “The band started in 2007 with a group of friends reuniting over Facebook; we got together and performed and within 48 hours we had a record deal! Their Redditch concert is part of the group’s 10th anniversary tour and Humphrey said he is amazed at the mix of ages they attract. “There’s everyone from children to their 80-year-old grandparents saying how much they were inspired by the show, and as a singer that is great. The trio have also just finished recording their special 10th anniversary album, featuring a mix of classics and new material. The album was partly crowdfunded by fans and features contributions from the Central Band of the RAF, the the Royal Air Force Salon Orchestra and members of the Military Wives Choir. It’s not just the Brits who love them either as the group have autumn and winter tours organised and are also heading out to Germany and China. Blake at the Palace Theatre will be on Friday, April 13 at 7.30pm. Tickets are £21 while VIP tickets, which offer a pre-show meet and greet and the opportunity to share a glass of wine with the group after the show, are £48. To book visit the box office or call call 01527 65203 or visit http://www.redditchpalacetheatre.co.uk/ .